We have shown sculptures by Filipe Tohi in earlier posts (here and here and here). 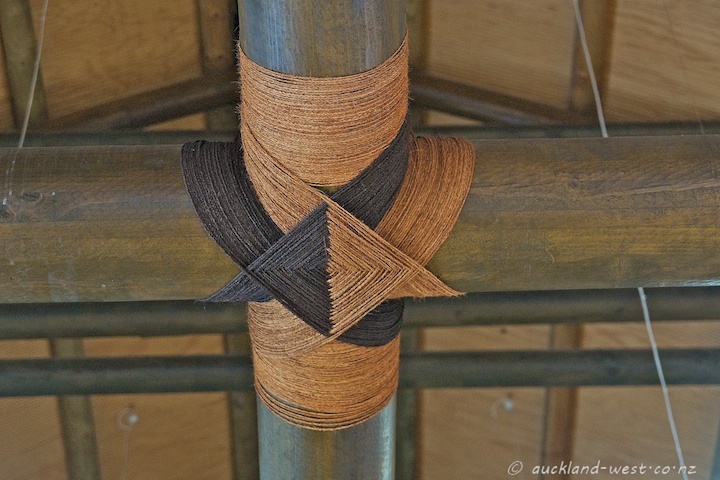 Filipe, of Tongan origin, is also a master of the traditional Oceanic art of lashing, the lalava. 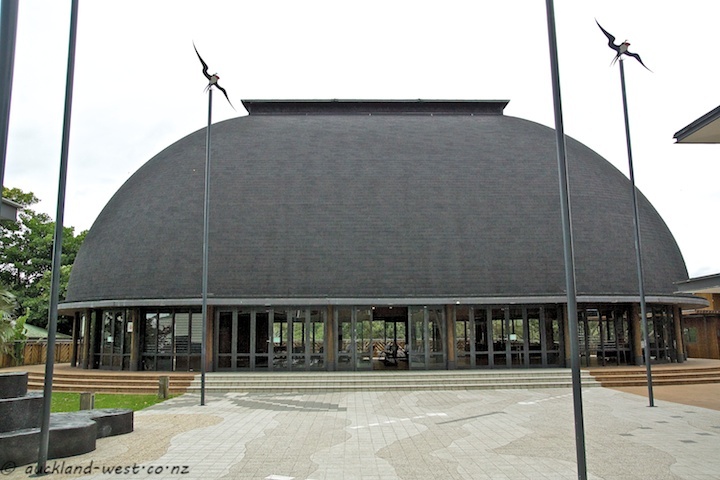 The examples here come from the Fale Pasifika at the University of Auckland, a space that is inspired by traditional meeting houses, but on a larger scale. 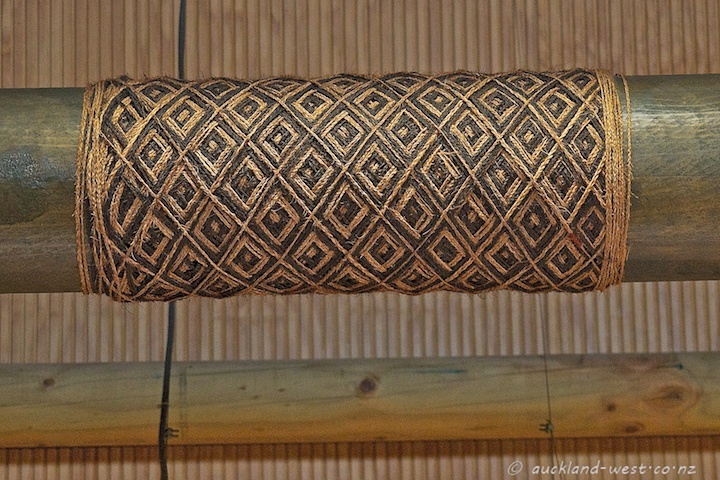 Beams are joined using sennit (rope made from coconut coir), in intricate decorative patterns, with colour used for added contrast. 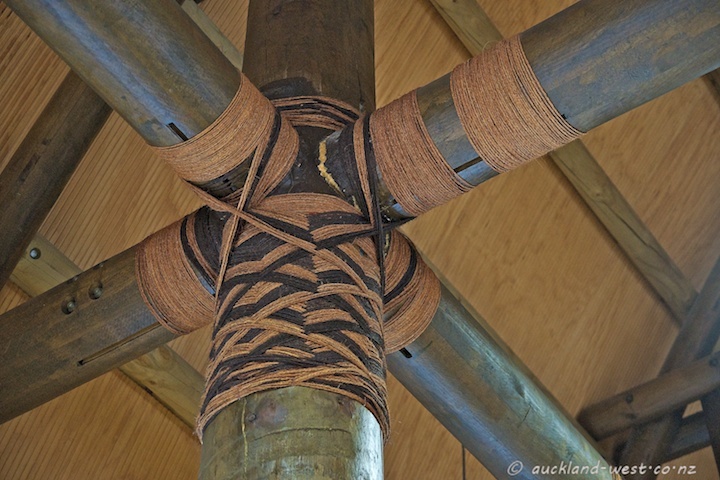 The same techniques are used in the construction of boats and tools. 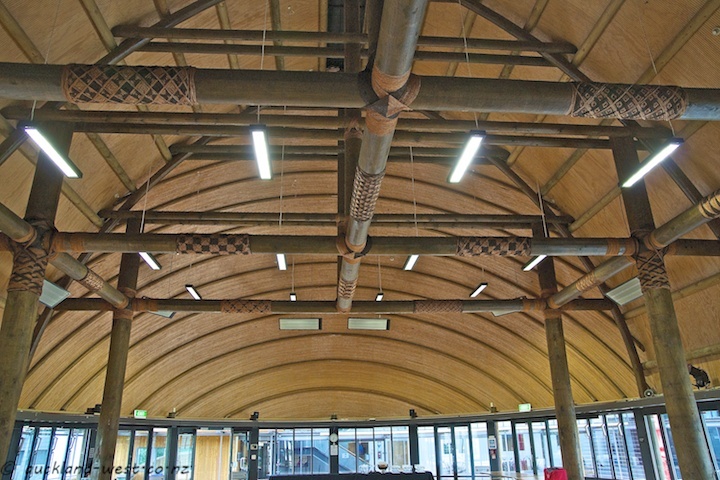 The Fale Pasifika is a focal point of the University’s Centre for Pacific Studies.